Happy asian boy using laptop computer on work station at home . 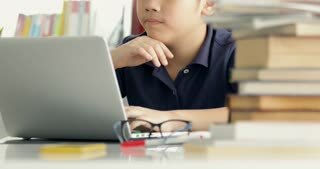 Little asian boy Using laptop computer . 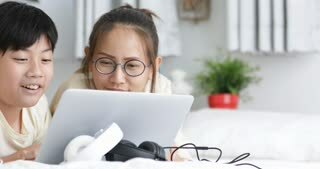 Cute asian boy using laptop computer at home.